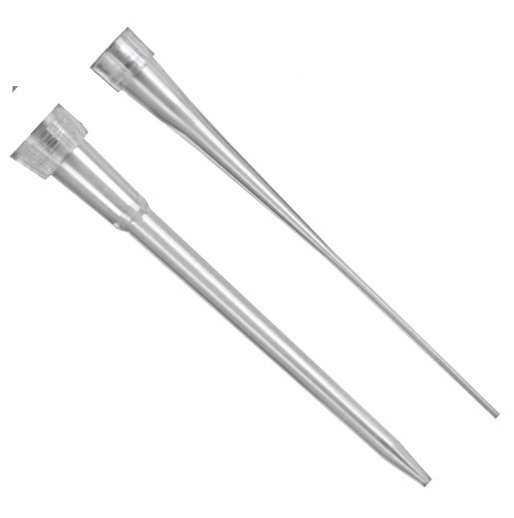 Rose Brand ultra micro fine quality pipet tips are available at very attractive prices. Rose Brand pipet tips are manufactured of premium grade metal free virgin polypropylene to rigid quality control standards. No mold release agents are used in the manufacturing process and the tips are certified free of RNase, DNase, and Pyrogen contamination. The tips are autoclavable at a recommended temperature of 120°C at 15 PSI for 15 minutes. Available sterile or non-sterile, packaged in a variety of bags and racks. The the Medax brand is offered elsewhere on the site by Rose Scientific for customers using the Transax™ and Trasnscend™ Refill rack system. These tips come in 2 styles, the longer type more commonly used on Eppendorf pipettors and the shorter style generally used on Pipetman™ or clones or variations of the Gilson pipettes. For use with a wide variety of brands of micro-pipettors such as Gilson Pipetman™, Rainin, Eppendorf, Socorex and other similar brands.